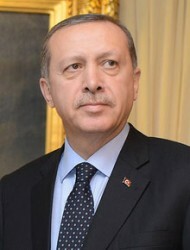 After international criticism was voiced for the use of tear gas by the Turkish police against tens of thousands of demonstrators, Prime Minister Recep Tayyip Erdogan raised the issue of a referendum. According to spokesman of the islamic-conservertive ruling party AKP Huseyin Celik, Erdogan had suggested to let the citizens of Istanbul vote on the controversial construction project in Gezi Park. This article includes a total of 515 words.